BIT will display two innovative instrument solutions at the ECCMID 2018 congress (taking place April 21-24 at the IFEMA Convention Center in Madrid, Spain). 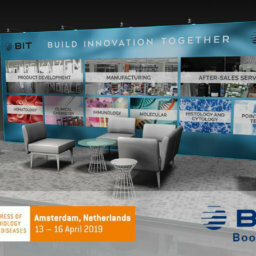 At BIT’s Booth #35A, attendees will be able to investigate a medium-sized clinical chemistry instrument as well as one compact diagnostic testing instrument within the POC Diagnostics Industry. Madrid, Spain – BIT (exhibiting at Booth #35A) will present two innovative instrumentation solutions at the 28th European Congress of Clinical Microbiology and Infectious Diseases, April 21-24. 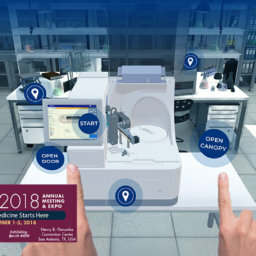 Both instruments will showcase a different technology. The ECCMID is recognized as the most important congress in infectious diseases, infection control and clinical microbiology and one of the leading events in the European calendar with nearly 200 globally diverse exhibitors. 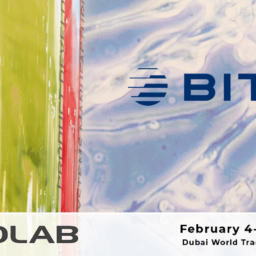 Key executive members of BIT’s Global Business Development team will be at Booth #35A to field questions regarding BIT’s clinical chemistry instrument and a POC Diagnostic Instrument as well as to discuss potential new projects. Anyone interested in scheduling a private meeting is encouraged to email BIT at contact@bit-group.com. Desktop colorimetric and turbidimetric assay analyzer capable of running clinical chemistry assays. This instrument also has potential for adaption to other assay technologies (e.g. coagulation). This compact POC Diagnostics Testing Solution is designed for processing immunoassays while allowing for broad test & sample flexibility. 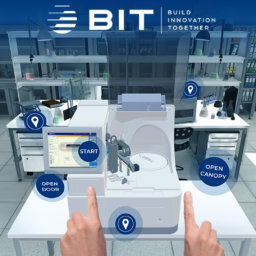 BIT provides contract product development, manufacturing and after-sales services, as well as hematology instruments, for life science, medical and IVD instrumentation OEMs. Quality and regulatory standards include GMP, FDA registered, ISO13485, QSR and CE IVD Directive. 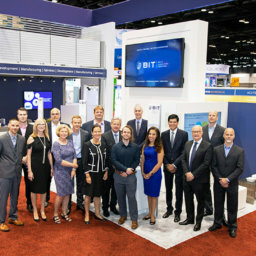 BIT’s global operations in USA, Germany, France & China deliver precision engineered, cost effective systems solutions. Pre-engineered platform technologies reduce development cost and time-to-market; lean manufacturing centers and global supply chain enable competitive product cost.